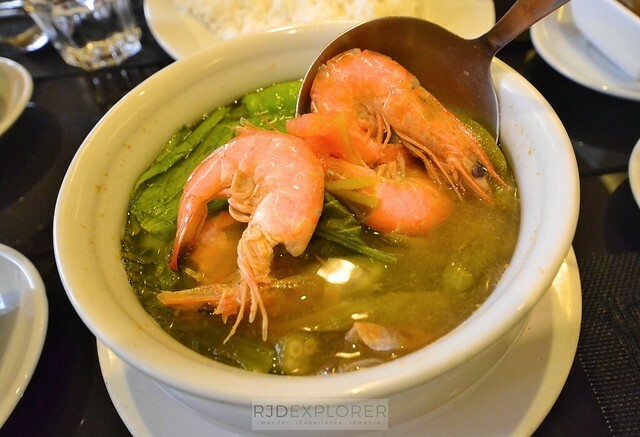 Makati City is a great spot for staycation because of its food scene, malls, and of course, hotels. 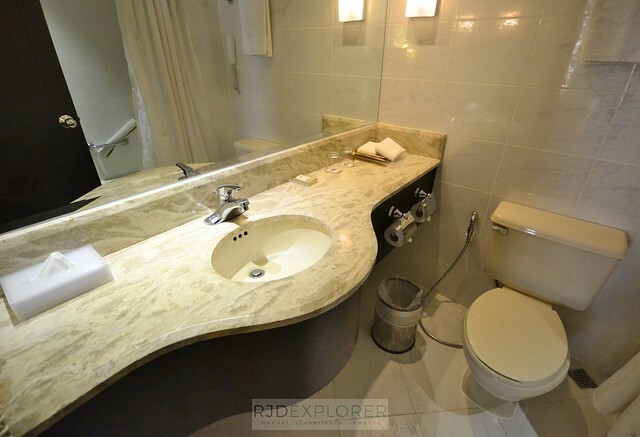 One of the things I consider when it comes to picking the right hotel is the price. 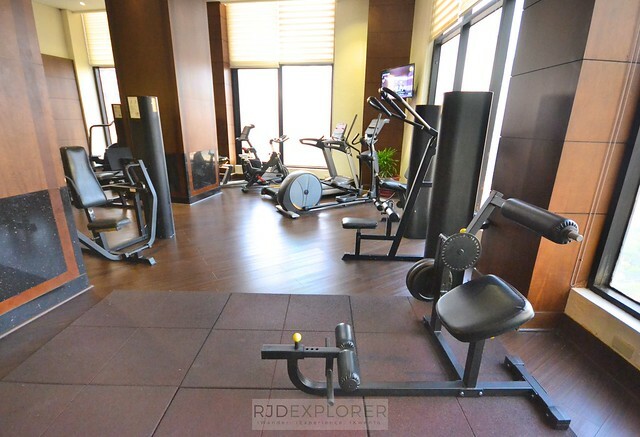 It shouldn’t be that expensive but amenities and facilities are still top-notch. 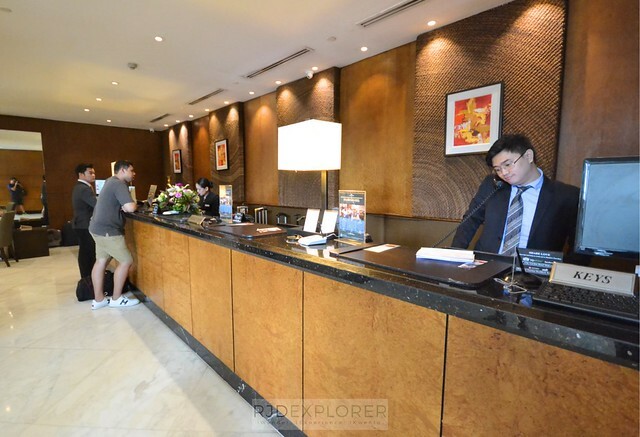 City Garden Hotel Makati satisfies these requirements; price is affordable and perks are at par with famous hotel brands along Makati Avenue. Executive Deluxe Room on the 20th floor. Siblings deciding to visit the metro for the weekend led us to the lobby of City Garden Hotel Makati. Couches are very available for arriving guests which signifies comfort being provided first, followed by service, with the front-office residing on the rear side of the lobby. After confirming our booking and listing down our names, we scaled our way to the 20th floor for our Executive Deluxe Room. Front-office of City Garden Hotel Makati. 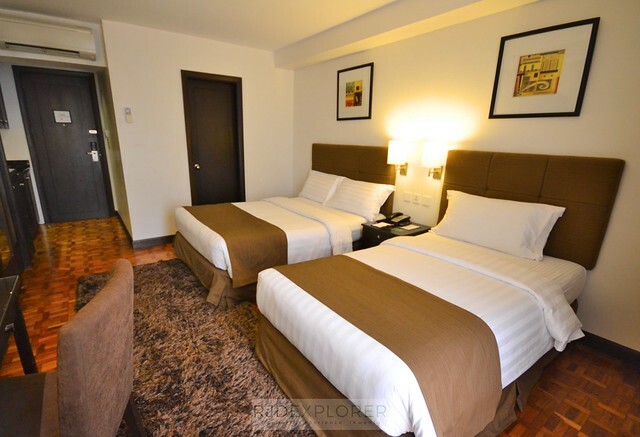 City Garden Hotel Makati has several room types from superior, executive, deluxe, executive superior, and executive deluxe all on either twin or queen set-up. 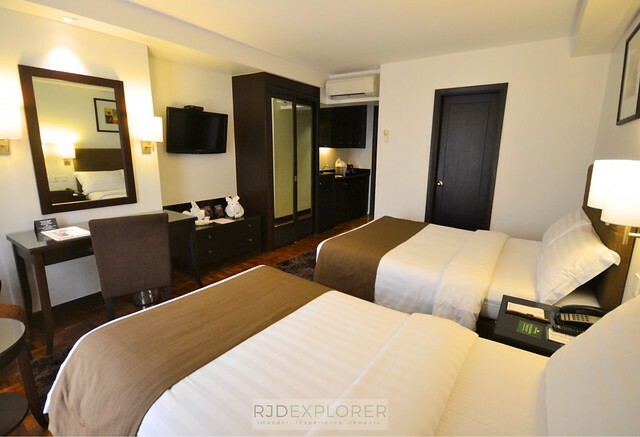 Room rates start at PHP2,624 (Superior w/o breakfast) to PHP3,562 (Executive Deluxe w/o breakfast). 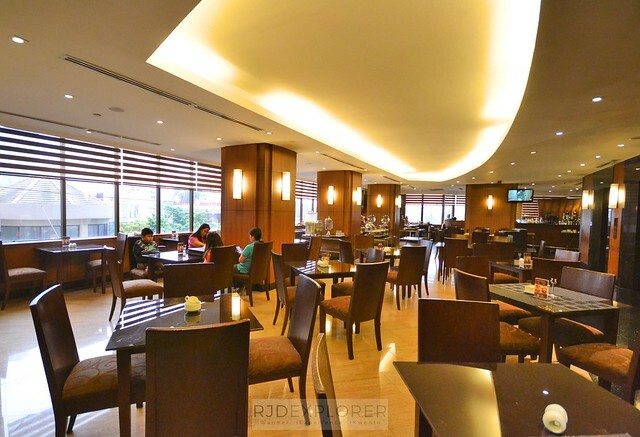 For room and dining promos of the hotel, you can check their website here. **rates as of posting. Our Executive Deluxe room is on the 20th floor having the view of Ayala Business District with its towering buildings sprouting on the horizon. Comfort is indeed a first thing with the queen and twin bed perfect for our group. Near-neutral colors extend the warm weather outside but balance off by the air-conditioning unit. Since the siblings came all the way from Pangasinan on an early Saturday morning, we found ourselves snoozing on the coziness of our beds. Fambam enjoying the relaxing ambiance of our room. View from our room during sundown. Bathroom has a bathtub where my nephew enjoyed a hot bath. Toiletries are not disposable packets but on refillable bottles, a nice move on reducing plastic waste. In addition to the shampoo and shower gel are dental kits. Towels of any kind and bathrobes are also available. Hot and cold shower is also a plus. 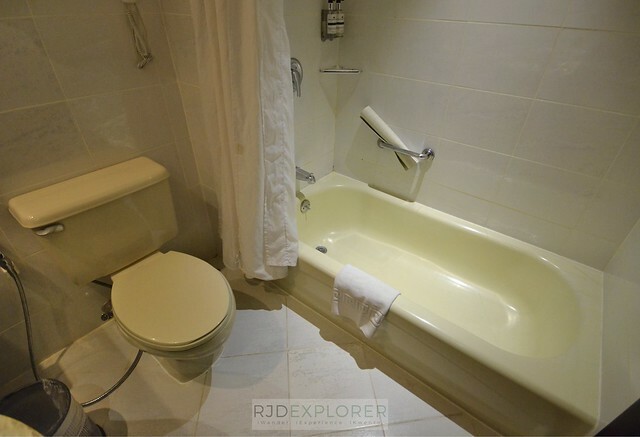 And don’t forget the bidet for the toilet. Next to the massive wooden cabinet having hangers, laundry bag, and safety deposit box is a countertop. There’s no microwave available but you can use the facility just in case you want to have food delivered to your room or avail other food deliveries. We utilized the fridge for the Coco Milk Teas we got prior to check-in. 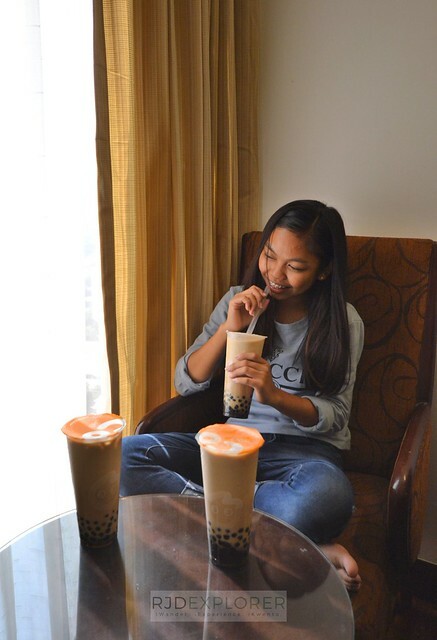 Niece enjoying both her Coco Milk Tea and the coziness of our room. Buffet breakfast is served on the second floor. Options are not that spread-out with eight viands, a salad and fruit section, congee and bread, omelet and pancake booth, and juices. Might be limited for me but already overwhelming for others. 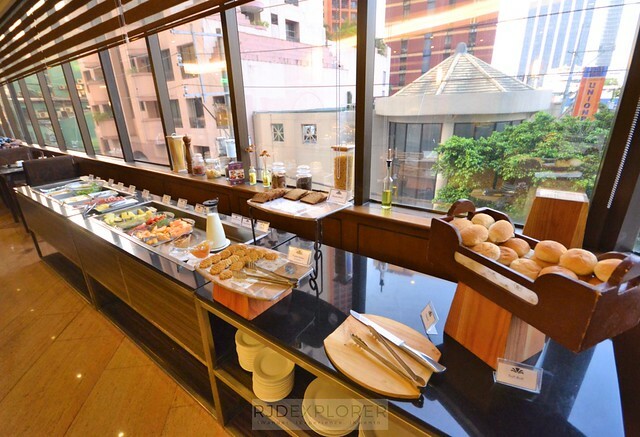 Salad, fruit, and bread section of the buffet from 5:30 AM to 10:30 AM. City Garden hotels love the idea of having a roof deck restaurant. 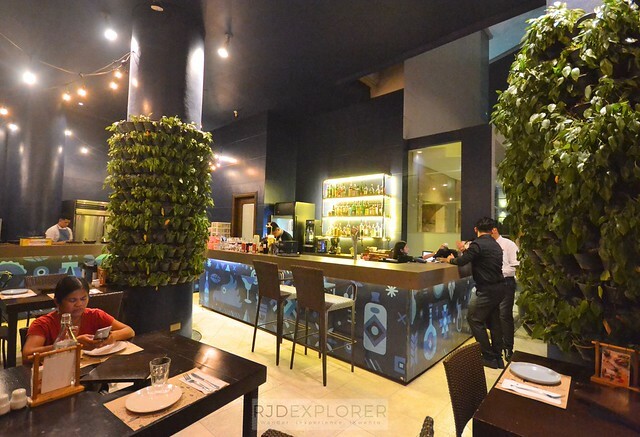 While City Garden Grand Hotel has its Firefly Roofdeck Resto, City Garden Hotel Makati has a Mexican restaurant on the 23rd floor. 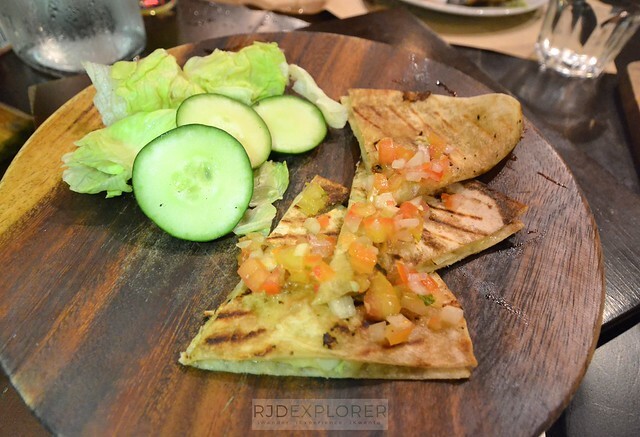 Encima, which means above in Spanish, is a Tex-Mex restaurant that allows diners to enjoy Mexican staples while relishing the Makati skyline. Encima Roofdeck Restaurant for dinner. From appetizers, soups, entrees, and desserts, Encima Roofdeck Restaurant will truly provide a one-of-a-kind dining experience. All the eating we did that day, from bubble milk tea, ice cream, and pizza and pasta, we were a bit full on our visit to the restaurant. Nonetheless, we almost cleared all the plateful servings of the food we ordered. 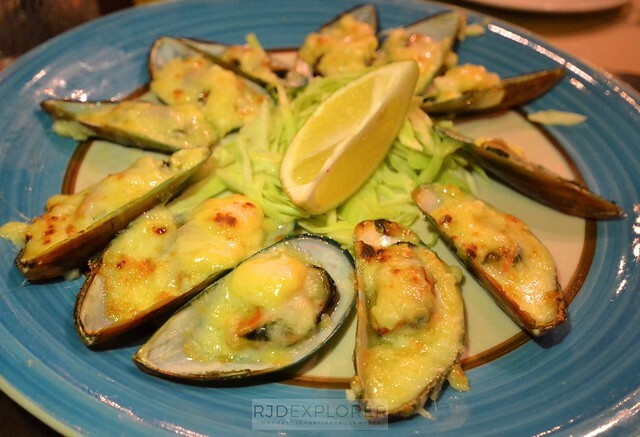 Baked mussels (Php250), calamares fritos (Php320), rancho banquette (Php400), and cheese quesadillas (Php150) made to our tables. 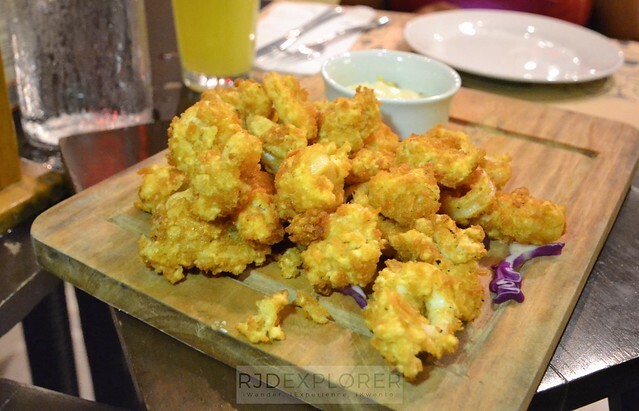 Rancho Banquette (Php400). 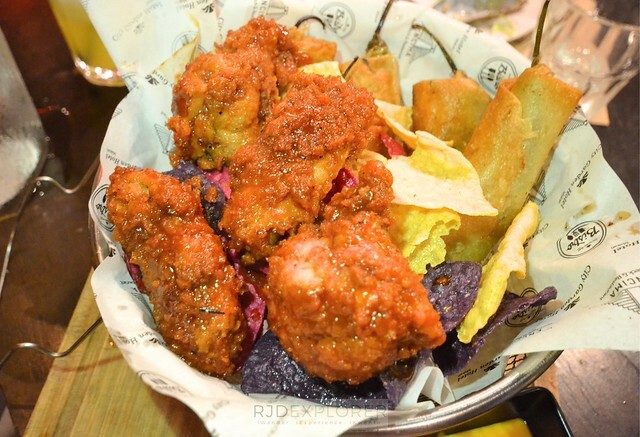 Mix of sweet chili chicken wings, chili sticks, and nacho chips. 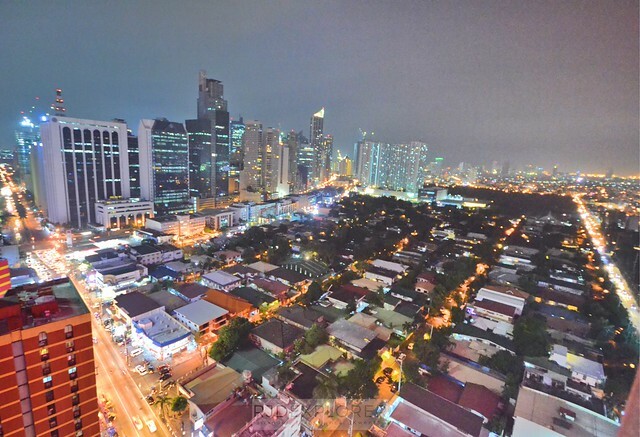 Panoramic view of Makati from Encima Roofdeck Restaurant. Place for breakfast is an all-day dining restaurant for in-house and walk-in guests. 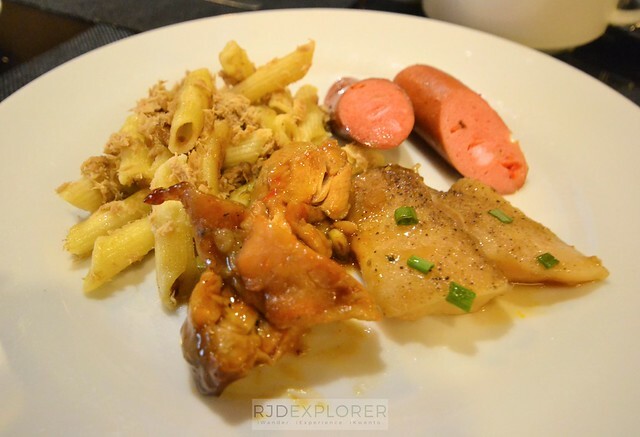 Bistro defies the tradition of expensive hotel dining with its affordable offerings. Since it’s an all-day café to rescue starving guests and their cravings, the menu is quite varied and food are appropriate for any meal at any time. 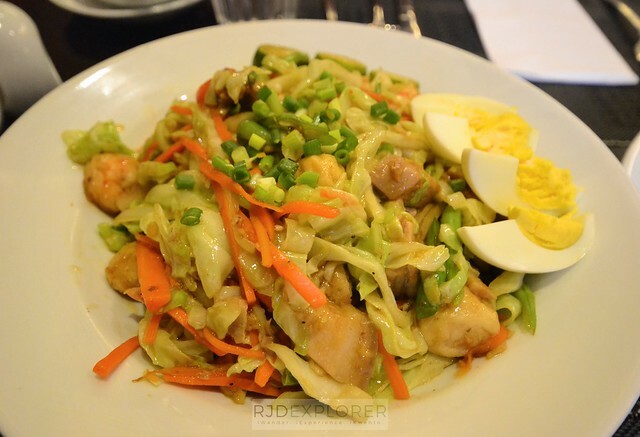 For snacks, they have sandwiches, pizza, and pasta, and Filipino cuisine and international mains for heavier meals. Bistro restaurant on the 2nd floor. We decided to have an early lunch before checking out and the crew just wrapped up the breakfast buffet when we arrived at the restaurant. Nonetheless, they immediately accommodated us, set-up a table, and handed us the menu. 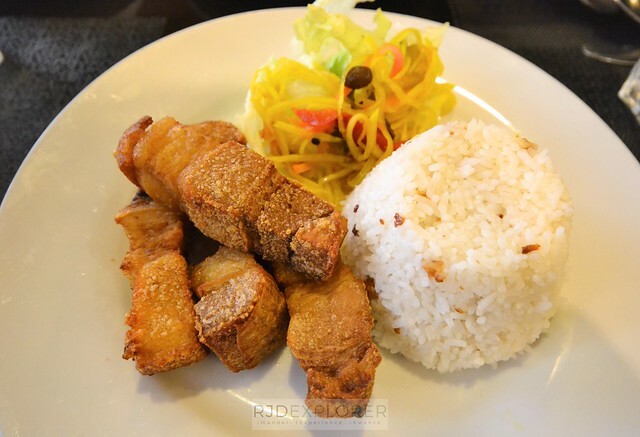 We savored sinigang na hipon (Php440), crispy pork belly (Php390), and pancit canton (Php250). Serving is actually hefty leaving us full and having a little bit of a hard time standing up from our seats. 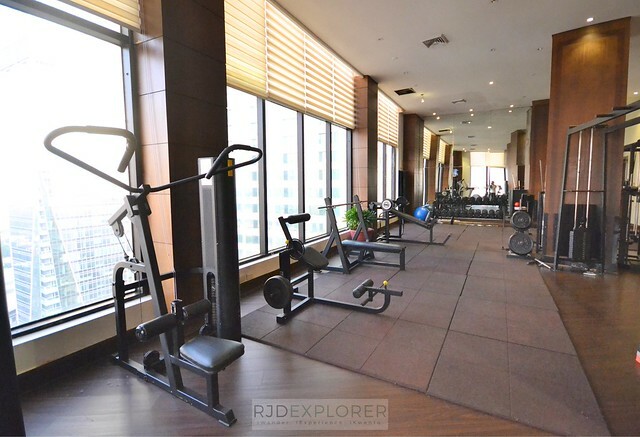 For guests to fully enjoy their stay, facilities of the hotel include a swimming pool on the roof deck, and a fitness center and spa on the 22nd floor. The pool is from 3.5 – 5.5 meters and a lifeguard monitors the facility to ensure guests safety. When we had our swimming time, he even offered and asked my nephew to wear a floater. A Jacuzzi by the pool is another alternative. 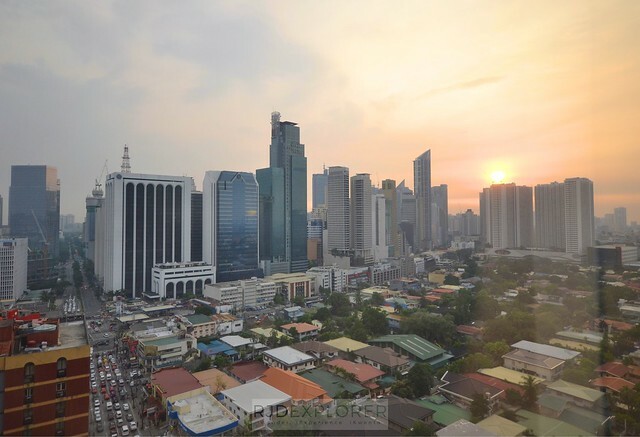 I’ve worked in Manila for 3 years before moving to Cebu and back to Manila again this year. But in this 3 years, my family had no time to visit the metro. 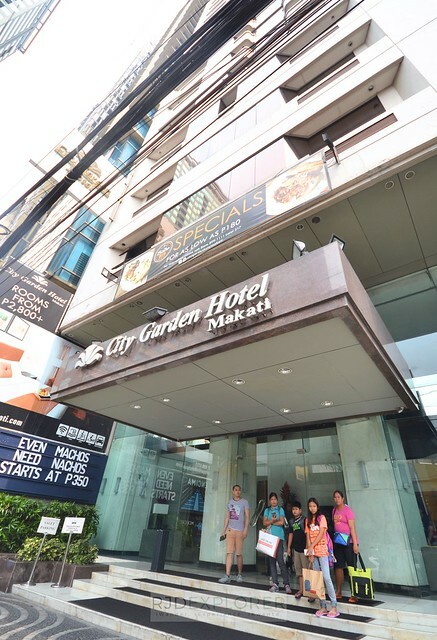 This is the first time my siblings spent the weekend in Manila and with our stay at City Garden Hotel Makati, I was so sure they really had a great time. 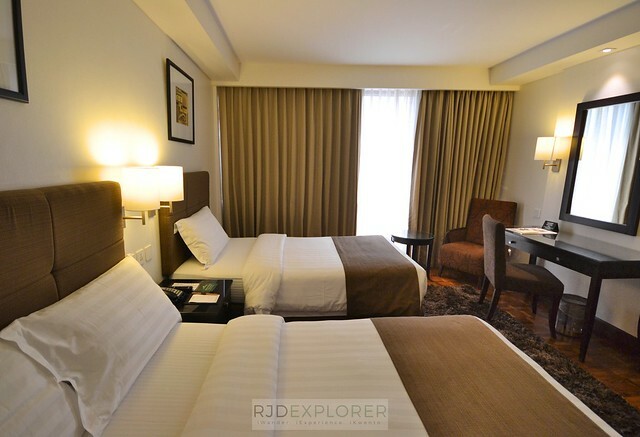 The room, food, and facilities of the hotel are perfect for families who’re looking for a nice place for a fun and relaxing weekend in Makati City. 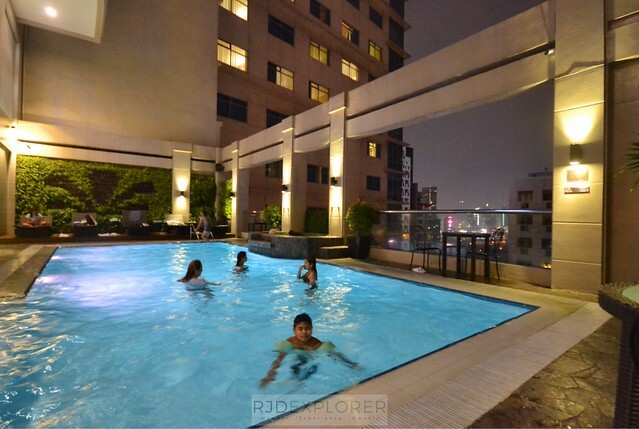 A fun weekend in City Garden Hotel Makati.